Stir the orange juice, soy sauce, sesame oil, sugar, garlic, and ginger in a 9x13 inch baking dish until combined. Add the tilapia fillets, turning once to evenly coat. Cover the dish with plastic wrap, and marinate in the refrigerator at least 30 minutes. Remove the plastic wrap, and bake in the preheated oven until the fish flakes easily with a fork, 9 to 11 minutes. 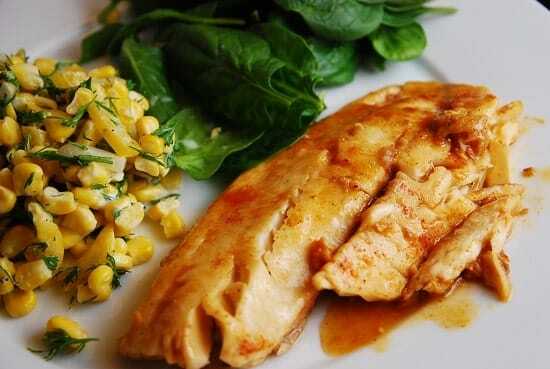 No comments for: "Tasty Sesame Tilapia Recipe"